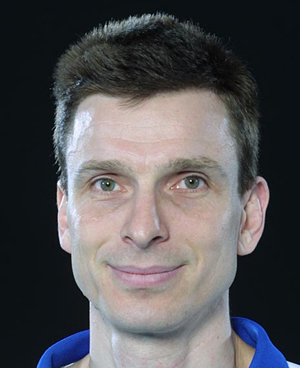 At 32-years-old Laurent Capet brings a wealth of much-needed experience and guile to this young and exuberant French side as they look to rediscover their bronze medal winning form at the 2002 World Championship at this year's World League. While the rest of his teammates are busy dying their hair or producing the flashy yet, often effective attacking raids on the opposition court, Capet can be counted on for his industrial displays as wing spiker. His renowned open-mouthed spikes are becoming more and more apart of the French make up, allowing some to think a French side without Capet could be deemed rudderless. With over 200 appearances for the Tri-colours Capet has the aura of one the "dads amongst the lads" but his input in this side, which is fast developing a reputation of being inconsistent, is proving crucial, especially at a time where France enter the 2004 World League.